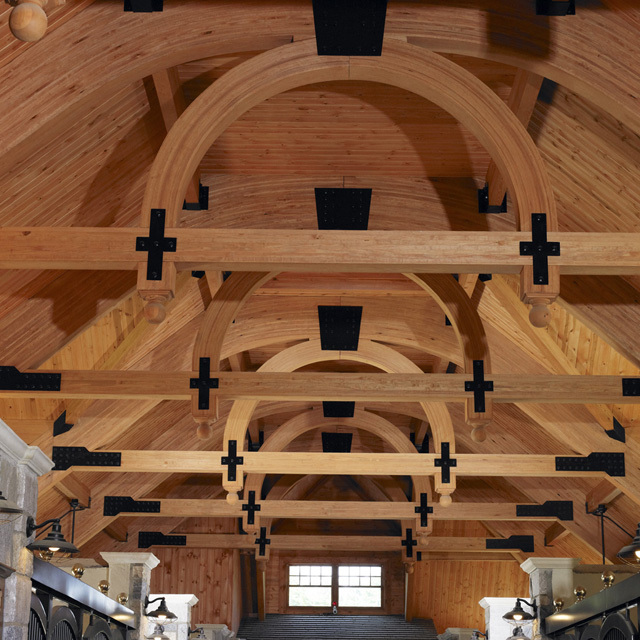 Set on the grounds of a beautiful residential estate, the styling and detailing of the stable and indoor riding arena was of high importance to the Owner. 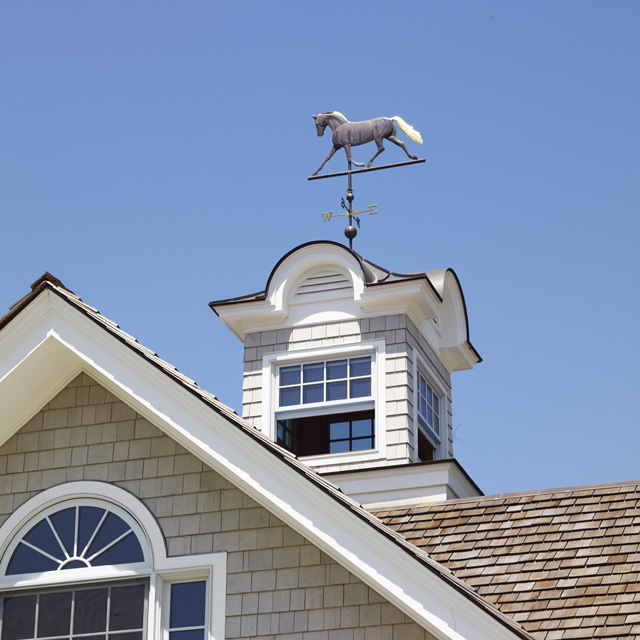 Within view of the Owner’s residence, and highly visible upon entering the property, the architecture of the stable needed to compliment the property. Careful use of exterior materials, matching rooflines, and other features allow the stable to seamlessly blend into the overall setting and homesite. 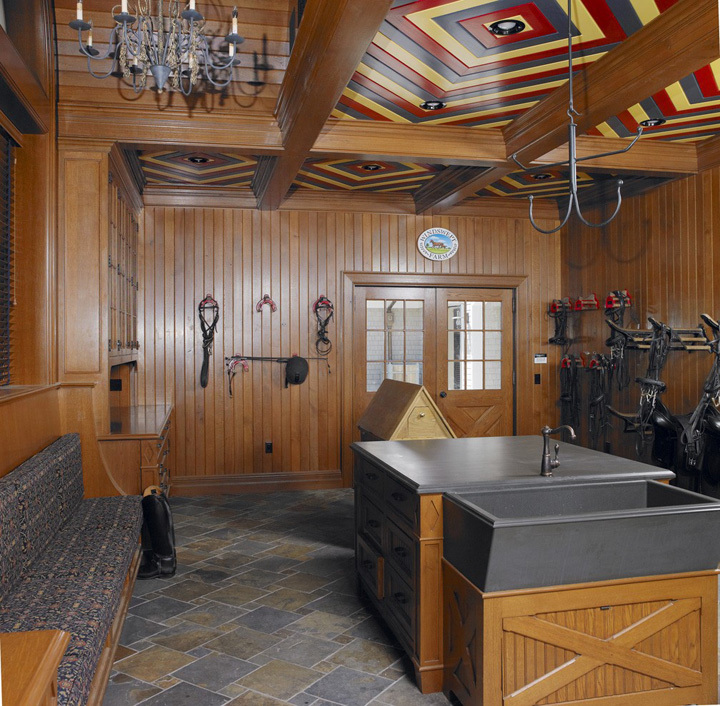 The stable includes six oversized (11-stalls with custom stall fronts, a wash stall, office, storage areas, and a combination Tack Room & Lounge with toilet and laundry rooms. Interior finishes include rubber brick pavers in the aisle, stone veneer, and stained wood accents and trim. The attached 80ft by 160 ft indoor riding arena is furnished with an automatic dust suppression system, radiant heating system, low speed high volume ceiling fans, as well as banked wood side rails. An exterior riding ring, located directly outside the indoor ring, allows for outdoor riding activities as the weather permits.